Drop on over at A-One F&B and get a taste of delicacies cooked in claypots for a healthier alternative as less oil is used. 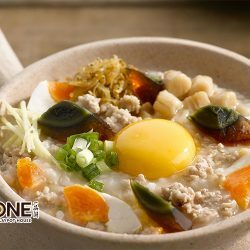 Take a pick from a wide array of choices such as claypot dried chilli frog's meat, claypot bak kut teh, claypot bitter-gourd with pork ribs, and many more. Wash down your hearty meal with choices from teas and soft drinks, to soda concoctions like Blue Curacao with lychee soda and passion fruit with lemongrass soda. Pay only $60 for $100 cash voucher on Fave (Ex-Groupon) now! Thinking of something delicious and healthy for dinner? 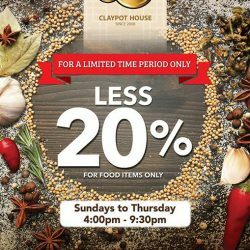 A-One Claypot House Suntec City Mall outlet has a great deal for you! Starts from today, enjoy 20% off on food items from Sunday to Thursday (except PH Eves & PHs) 4pm to 9.30pm in our Suntec City Mall outlet. Only for dine in. T&C apply.